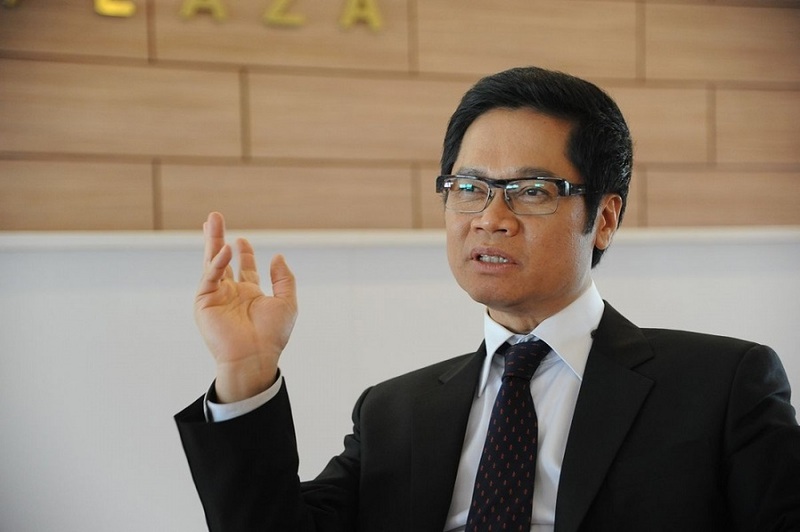 VietNamNet Bridge - If Vietnam is not determined to reform, it will be a lower average income country forever, writes Vu Tien Loc, chair of the Vietnam Chamber of Commerce & Industry (VCCI) for ‘For a Powerful Vietnam’, a forum initiated by VietNamNet. Recently, on behalf of the national business community, VCCI conferred the title of Outstanding Vietnamese Entrepreneur to Bach Thai Buoi, one of the greatest national bourgeois in Vietnam in the early 20th century. Buoi is a symbol of entrepreneurship, a typical example of promoting the national spirit as a power. From the beginning of the 20th century, in the context of many difficulties, the business spirit of Buoi and entrepreneurs helped them compete equally with the French and Chinese, bringing confidence to society and the nation. As for the current business environment in Vietnam, we have made remarkable progress, especially in the last two years. The government has set several major principles for the business environment: no overlapping inspections, no criminalization of civil economic relations, development of e-government, and a 50 percent reduction in required business conditions and administrative procedures. The government has also set an important goal for reform – developing Vietnam into one of three or four economies with the most favorable business environment and best institutional quality in ASEAN, while striving for OECD standards. However, despite positive changes and the heat of the spreading reform, Vietnamese enterprises are still facing many difficulties, and the path of reforming the business environment remains thorny. Nearly 60 percent of businesses don’t make a profit and more than 78,000 businesses were dissolved or suspended their operation in the first 10 months of 2018. Domestic private businesses are inferior to state-owned and foreign-invested enterprises in scale, but they are also at a disadvantage in accessing land, credit and loan interest rates. Fifty-eight percent of businesses still have to ask for business licenses, while 42 percent of them say they have difficulties asking for licenses. More than 40 percent of businesses were inspected by state management agencies two or more times in 2017, and 49 percent in 2016. A survey of the World Bank found that the business cost in Vietnam is higher than in other regional countries. The taxes businesses have to pay account for 39 percent of profits, the highest level in ASEAN 4, and the cost for complying with export documents is also the highest, which is four times higher than Singapore and three times than the Philippines. These are worrying problems, because they affect the competitiveness of Vietnamese enterprises. Meanwhile, logistics costs still account for a large proportion of total business costs. The freight cost for carrying one container of goods from Hai Phong Port to Hanoi (100 kilometers) is three times higher than the cost of carrying one container from China or South Korea to Vietnam. Moreover, businesses also have to bear many other types of expenses, from borrowing money to leasing business premises. They also have to pay under-the-table fees which put a heavy burden on their shoulders. Some ministries and branches have removed some required business conditions, but only in some fields in which they have felt pressure from the government and the public. An overall reform plan to address the problem – the ask-and-grant mechanism – to the very root still has not been outlined. The Communist Party’s Resolutions say that by 2020 Vietnam will have to perfect the market economy institution in accordance with the criteria of modern economies. The Prime Minister always emphasizes ‘institution, institution and institution’, meaning that institution is the key to development. According to the World Bank and the World Economic Forum, Vietnam’s institutional quality is at moderate level, while the ‘sweet fruits’ of doi moi (renovation) that are easy to reap are running out and growth is critical. If Vietnam is not determined to carry out reform, it will always be a lower average income country. Medium-level or average institutional quality will not help Vietnam escape the middle-income trap. Where is Vietnam on the world’s economic map?